moldyclay has returned with an update to the fan-made amiibo compatibility chart. Several games have been added in, which makes sense since it’s been awhile since the last version. If you’d like to keep up with the amiibo compatibility as there are quite a lot of games and figures involved at this point, the chart (actually, there are technically multiple charts this time) will come in handy. You can find a breakdown for Switch, 3DS, and Wii U specifically below. 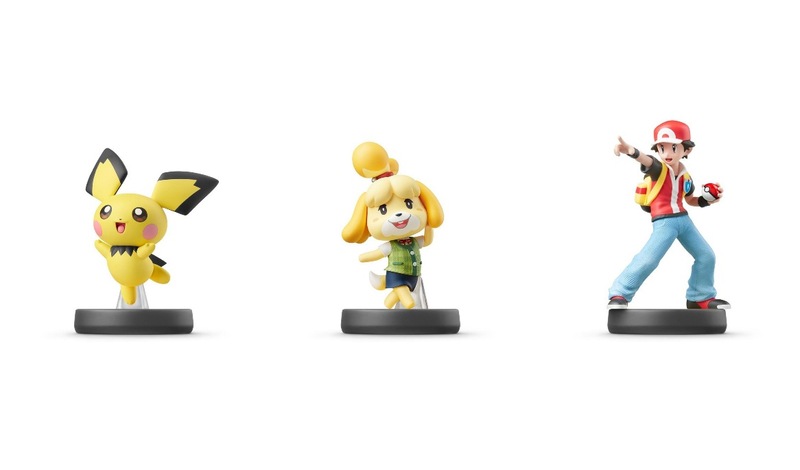 Amazon has opened pre-orders for the Pichu, Pokemon Trainer, and Isabelle amiibo. All three can be found here. For those who missed it earlier today, pre-orders are also up on Best Buy. The figures can be pre-ordered here as well. Best Buy has started taking pre-orders for the next round of Smash Bros. amiibo. Pichu, Isabelle, and Pokemon Trainer can be reserved here. All three are scheduled for July 26. 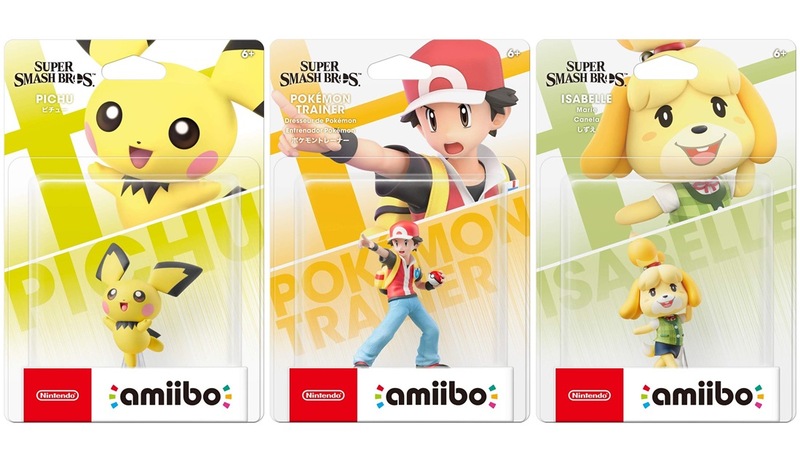 Yesterday we heard that the Pichu, Isabelle, and Pokemon Trainer amiibo are landing in North America on July 26. We now have a release date for Europe as well. These three figures are planned for July 19 in PAL regions. That’s the same day as Japan, which was previously announced. 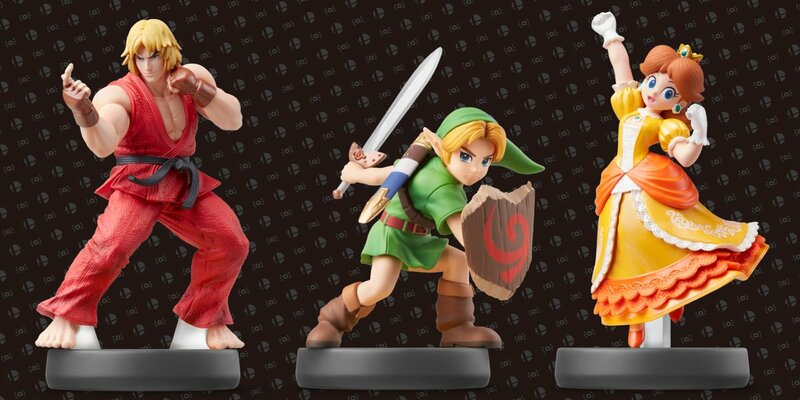 Nintendo has dated a new trio of amiibo from the Super Smash Bros. line. Pichu, Isabelle, and Pokemon Trainer are launching on July 26. These figures will be out a bit earlier on July 19. Nintendo has not yet provided a release date for Europe. The Daisy, Ken, and Young Link are all releasing this week, and some folks are already getting their hands on the figures. 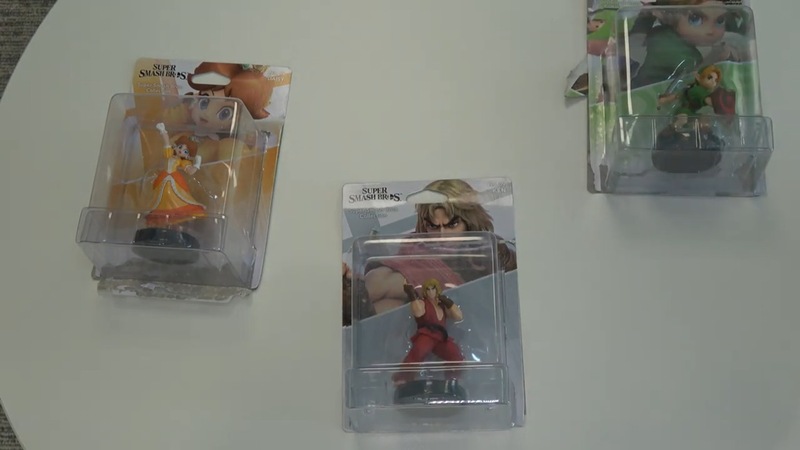 Take a closer look at the latest Smash Bros. amiibo through the unboxing video below. 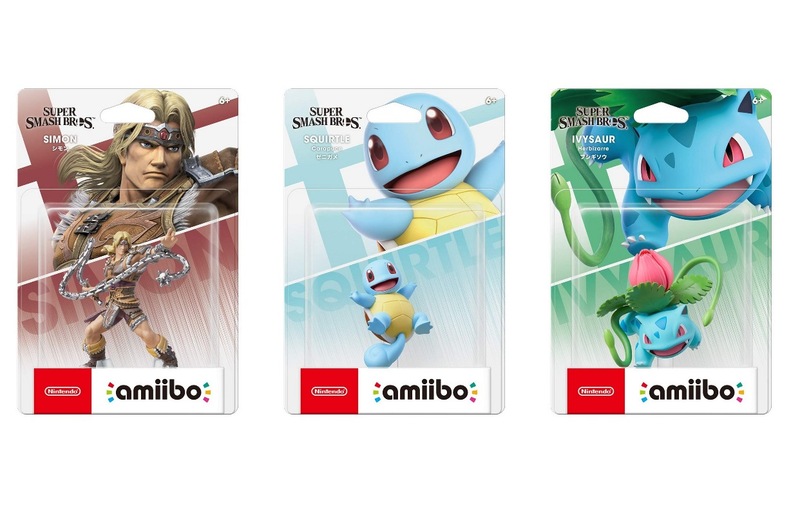 Amazon Japan has posted the packaging image for the upcoming Simon, Squirtle, and Ivysaur amiibo. We have all three above. 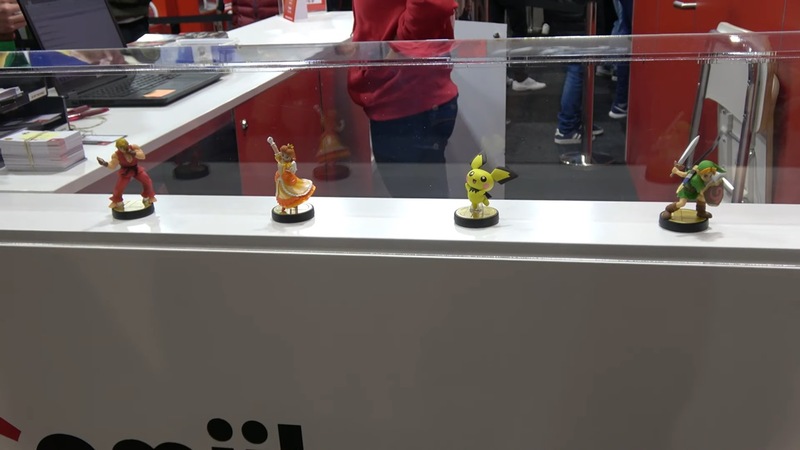 The Young Link, Pichu, Daisy, and Ken amiibo were on display at the Made in Asia convention in Belgium. You can take a closer look at the different figures in the video below. Amazon UK has started taking pre-orders for the Shovel Knight: Treasure Trove amiibo 3-pack. It can be reserved here. 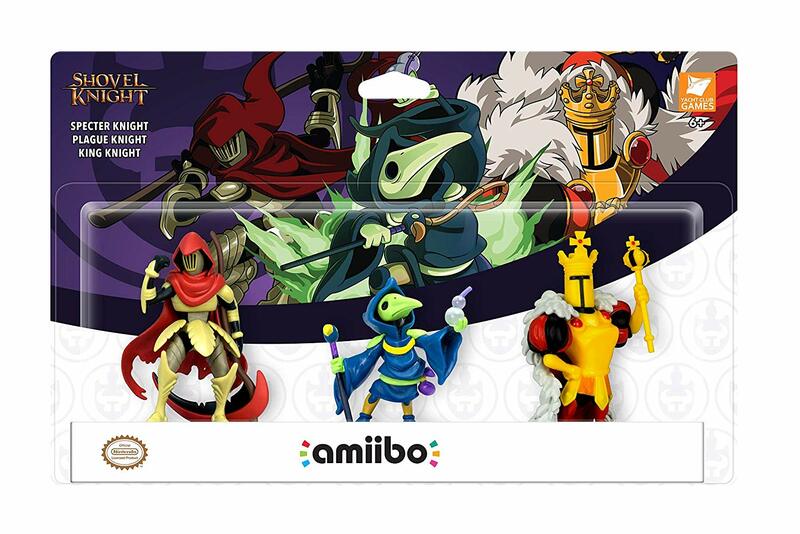 Specter Knight, Plague Knight, and King Knight figures are included. Earlier this week, Yacht Club announced that the new amiibo and upcoming Shovel Knight content have been delayed to an unspecified point. Everything was previously scheduled for April 9. 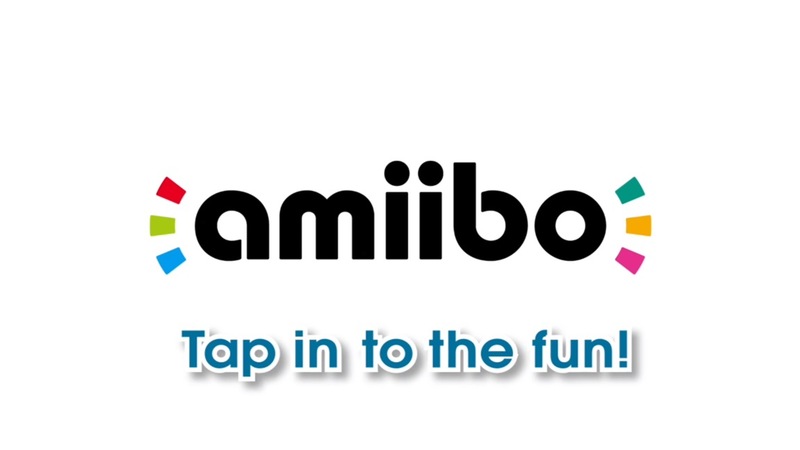 After this week’s Nintendo Direct, it was announced that the latest amiibo are arriving on April 12. These include Ken, Daisy, and Young Link. Thankfully, we now know that the news also applies to Europe. Just like in North America, you’ll be able to purchase the three figures shown above on the same day.